The enjoyment of a Honda is not only attributed to all the technological advances and styling, but the smoothness of the ride is what keeps people loyal to the brand. Achieving a smooth ride happens because of properly operating shocks and struts on the car. 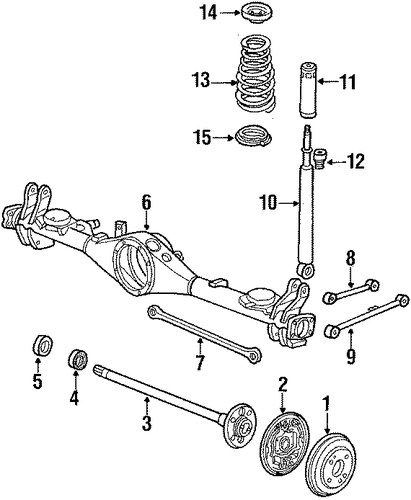 Hondas are designed with a shocks and struts system that translates into a reliable and enjoyable smooth ride. Many of heard the terms Shocks and Struts, but many don’t have any clue what each is and the value it brings to their vehicle. The shock system in a car is for the purpose of preventing the car from bouncing. This is done by absorbing the impact and distributing the shock through the coils to create a smooth ride. The strut system works in conjunction with the shock system almost as the skeletal structure to maintain healthy shocks for the car. It’s imperative that these two systems are maintained and checked for weaknesses and pressure that may result in damage to other parts on your Honda. Depending on the specific model of your Honda there are specific maintenance periods in which the shocks and struts are checked. This is another reason why it’s important to carefully follow the vehicles maintenance program. Your Honda will offer you many enjoyable years into the future, keep it staying healthy and safe – check your shocks and struts during your next check up.